Some of George MacDonald’s books are available free on audiobook at Librivox because they’re in the public domain. Here’s a website devoted to George MacDonald which has some of his books in e-text formats. 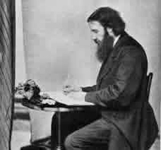 George MacDonald wrote hundreds of stories throughout his lifetime (not surprising considering he had eleven kids! ), most of which were fantasies that drew on a rich variety of sources: mythology, fairytales and Biblical mysticism. Credited by C.S. Lewis as the main inspiration behind The Chronicles of Narnia, MacDonald's dreamy little tales (especially this one) are a strange blend of frustrating ramblings and sublime imagery. 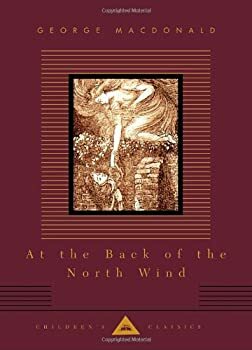 Love it or hate it, At the Back of the North Wind encompasses the best and worst about MacDonald, the Victorian Era, and even children's literature itself. 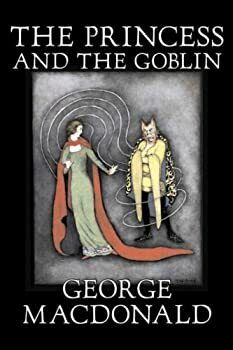 The Princess and the Goblin is one of the gems of children's literature that deserves to sit on any bookshelf. 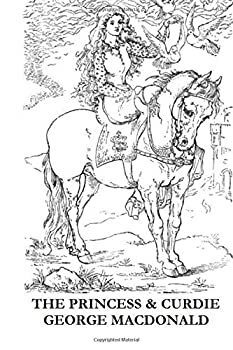 The same can not be said of its sequel The Princess and Curdie, which differs so much in tone and content from the original that it is sometimes difficult to remember it is in fact a sequel to the dreamy, beautiful The Princess and the Goblin. Don't get me wrong, I love George MacDonald's wonderful books, and although there are some nuggets of wisdom scattered throughout the book and Irene's grandmother is as fascinating as ever (as well as being one of the few feminine representations of Christian mysticism in children's literature) this particular MacDonald novel left me a little cold. Short Fiction Monday: Here are some of the short fiction works we read this week that we wanted to share with you. 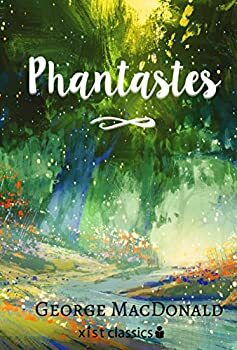 I recently stumbled upon PoeStories.com and am pleased with the find. A Poe a day may well keep boredom at bay. The website helpfully gives descriptions of each story. I chose this one for the enticing simplicity of the summary: “a horror story about a cat”. The Flight of the Shadow — (1891) Publisher: Softly the moon rose, round and full. There was still so much light in the sky that she made no sudden change, and for a moment I did not feel her presence or look up. In front of me, the high ground of the moor sank into a hollow, deeply indenting the horizon-line: the moon was rising just in the gap, and when I did look up, the lower edge of her disc was just clear of the earth, and the head of a man looking over the fence was in the middle of the great moon. It was like the head of a saint in a missal, girt with a halo of solid gold. Lilith — (1895) Publisher: Lilith, by nineteenth-century Christian novelist, George MacDonald, is the chronicle of five trips taken by its narrator, Mr. Vane, into another world where, under the spell of MacDonald’s extraordinary imagination, he explores the ultimate mystery of evil. An Oxford undergraduate encounters an elusive spirit in the library of his ancestral mansion.The volume is introduced by C.S Lewis.